Bay-C, part of the four member dancehall/ reggae group T.O.K, has always recorded quality solo singles since he released his project called “The Bombrush Hour” in 2009. With his venture now though as a bonafide solo artiste, he has prepared a quality EP project entitled “Better Must Come” that he is sure fans will thoroughly enjoy. 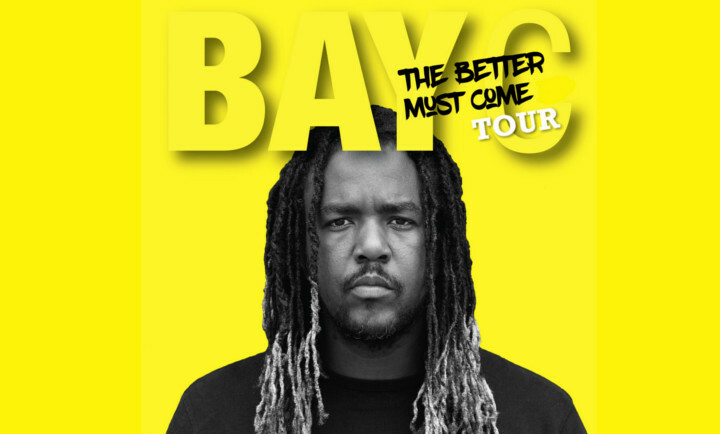 The brandnew “Better Must Come” EP shows Bay-C’s versatility with a blend of reggae and dancehall and a little acoustic sound in the mix. Bay-C is also singing as much as he deejays on the project. The full EP will be released digitally on Good Friday, March 25. Feel free and contact us for Bay-C’s available dates!